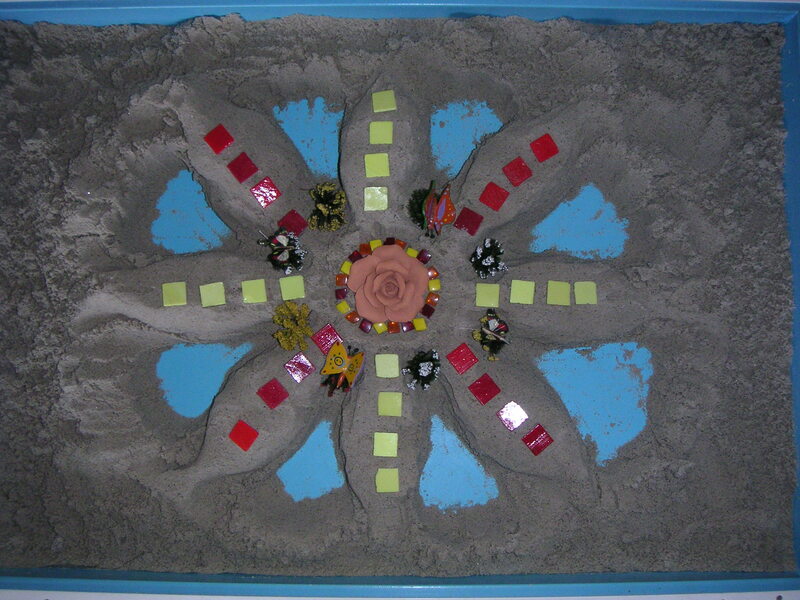 I have been a teaching member of the German and the International Society for Sandplay Therapy (ISST) since 2007. Since 2009 I have taught not only in Germany, but also in South Africa. I am currently teaching a full curriculum together with German and South African colleagues in Stellenbosch, near Cape Town, with a practice in Stellenbosch. I am also involved with a community non profit organization in Paarl and Stellenbosch, Good Hope Psychological Services, as well as a support group of psychiatric patients named Spring Forward and have been involved with a project for short term sandplay in a group setting with students of the Department of Educational Psychology at the University of Pretoria in the past. All information on Sandplay training can be found on the website of the ISST developing group in South Africa: sasandplaysociety.com. Sandplay training according to the guidelines of the International Society for Sandplay Therapy (ISST) include a personal process with a certified member of ISST as well as 100 hours of theory and 80 hours of individual and group supervision with teaching members of ISST. Theoretical training involves 6 three day workshops offering 18 hours of credit each. CPD credits have been applied for.